Kanchan is a registered patent agent with a primary focus on patent preparation and prosecution. She works closely with clients to identify patentable aspects of inventions and has more than a decade of experience in patents. 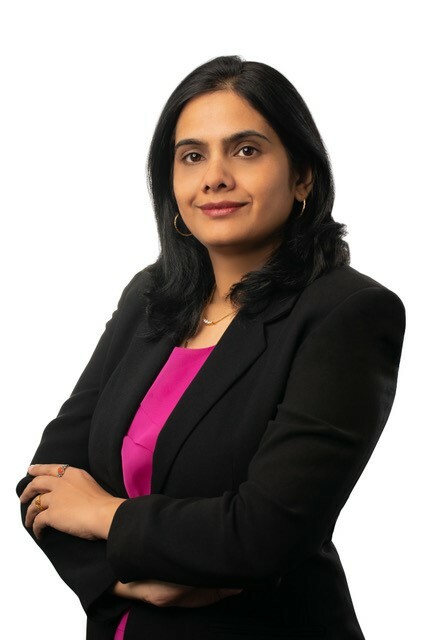 During her experience as a patent agent with multiple patent law firms, Kanchan prepared and prosecuted patent applications for a diverse group of clients that included both large and small clients as well as individual contributors. Kanchan also worked as an in-house technical advisor for a major technology company. While in-house, Kanchan was involved in performing prior art searches, analyzing patents, creating technical evidence of use claim charts for the purpose of showing patent infringement, and providing opinions on the strength of patents and patent applications. In addition, Kanchan worked closely with in-house counsel to assist them in the development of an effective patent strategy for the company. In her free time, Kanchan likes traveling with her family, running, and cooking.